Are you struggling to find the perfect accessories for your phone? Give your Smartphone a stylish and practical makeover with BoxWave. Since 2002, BoxWave has become the ultimate source of innovative accessories for handheld devices, including smartphones, media players, gaming devices, and more. With one of the most comprehensive lists of devices online, you can find the perfect gadget or accessory for your needs. Unlike other companies, their products are also designed to last, made from the highest quality materials on the market. To learn more about BoxWave and their amazing products, such as the Keyboard Buddy for the iPhone 5, make sure to check out Budget Earth's BoxWave review here. 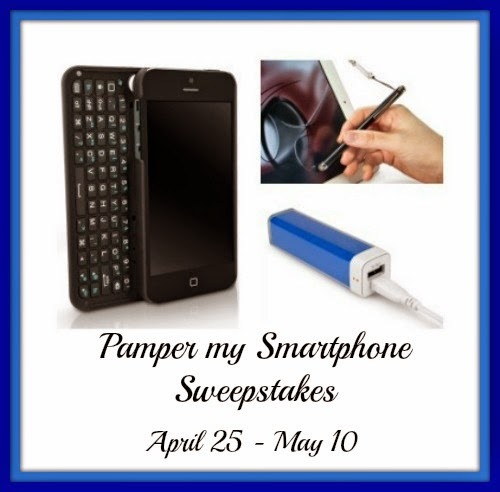 Want to win a complete smartphone makeover? We are excited to be working with BoxWave on this awesome giveaway! One of our lucky winners will win a smartphone case of their choice (up to $50 value), 1 EverTouch Capacitive Stylus (choice of color), and 1 Rejuva Power Pack. This full package has a value of about $75, allowing you to create the perfect phone for your needs. To learn more, make sure to read the rules below and then enter through the Rafflecopter. One lucky reader will win a BoxWave Prize Pack. Open to US & Canada (except Quebec). Sweepstakes ends May 10th at 11:59pm ET. Would you like to have your products featured in a giveaway event? Want to increase your social media exposure? See how Mom Powered Media can help! Contact teri@mompoweredmedia.com to see what we can do for your company! I would pick the Folio Stand Kindle Fire Case with Strap. There are no cases for my phone on this website.